here’s a photo of me from the other weekend. I’m lounging in my parent’s hammock– a gift from us last father’s day. I live in this Gap striped tee. 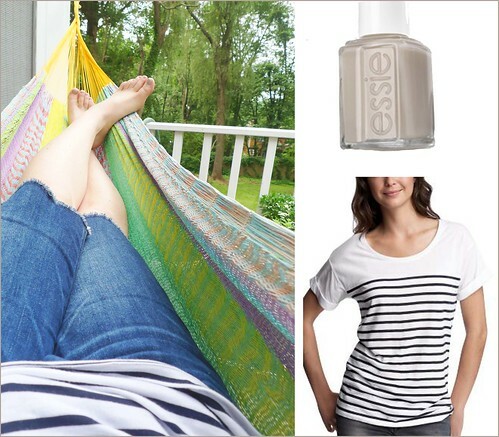 This sandy gray nail color is perfect for summer.